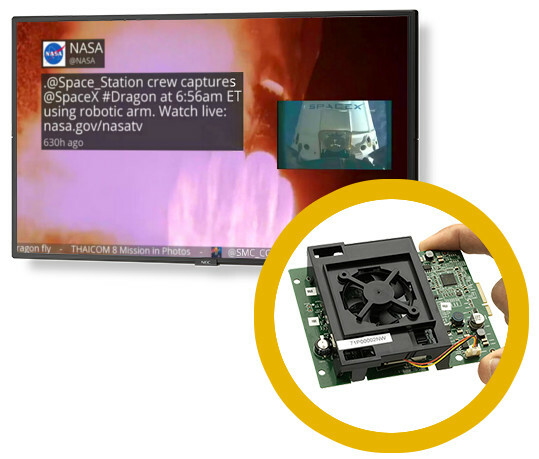 NEC offered the first professional display with a Raspberry Pi Compute Module built-in. Display size 40", 48" or 55"
You can purchase a Raspberry Pi including case, SD card and power adapter and build a device yourself. 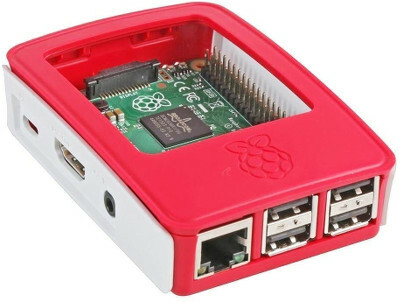 Visit the Raspberry Pi page to find local merchants. Trivial installation by just unzipping files on an empty SD card. 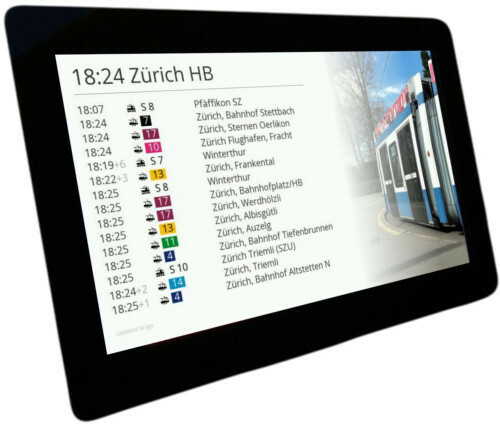 Data Display offers various TFT displays with directly attached control board with Raspberry Pi Compute Module built-in. 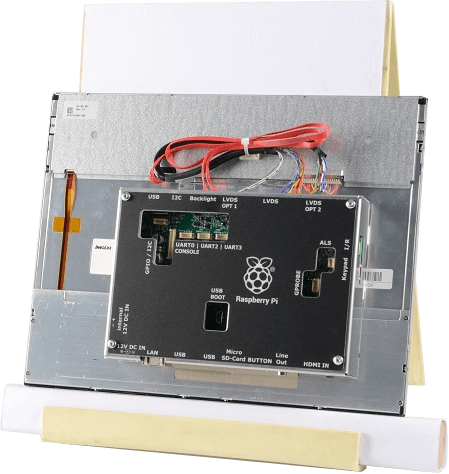 An affordable and thin Compute Module based 7" panel for OEM installations.